Not all loans are the same. Review your Award Letter and know that some loans cost more than others. For instance, unsubsidized, Parent PLUS, and Grad PLUS loans accrue interest while attending school, whereas subsidized and Perkins loans do not. Learn about the differences between Federal Student loans and Private loans, Budgeting, loan repayment options, Identity theft and more. 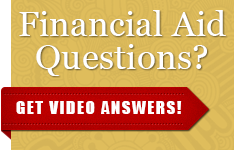 Questions on student loans? Email us at Financial_Literacy@csustan.edu. The Financial Literacy Program offers presentations on various financial topics designed to empower students and assist them in making informed financial decisions. Students will learn to distinguish between the different types of credit (i.e. revolving, installment, etc. ), learn how to make the best choice when deciding on a credit card and become a responsible credit card user. Students will learn the basics on credit reports and scores. Students will also explore what affects their credit history and how to build and maintain credit. As well as, learn about protecting their identity and steps they can take to prevent identity theft. Students will learn about the different types of student loans and repayment options as well as forgiveness programs. This presentation is perfect for those who are considering student loans and those who have already taken them out. Students will learn about the various student loan repayment options as well as the student loan forgiveness programs available.